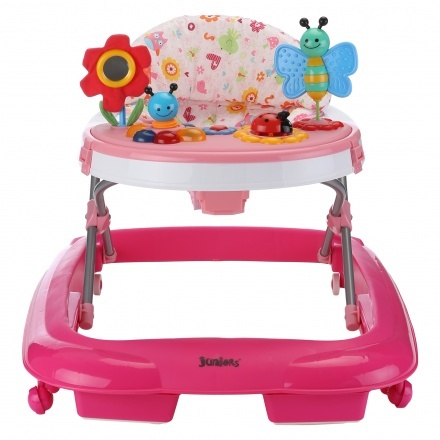 Juniors Butterfly Walker | Pink | It has single direction rear wheels to control the movement. 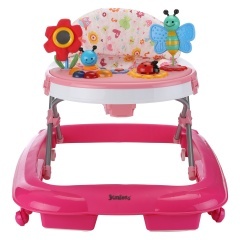 Sure to appeal to your kid, this charming walker is a must-have. 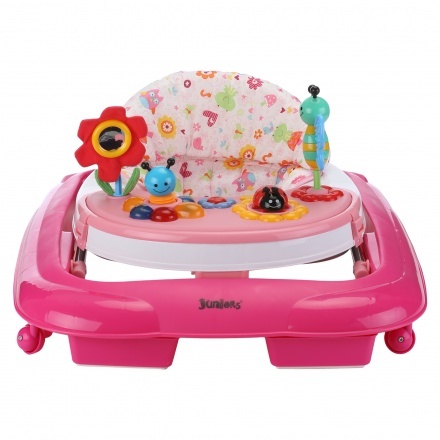 Designed to make walking easy, it has a three position height adjustment system and comes with interactive toys to develop your child's early learning skills. 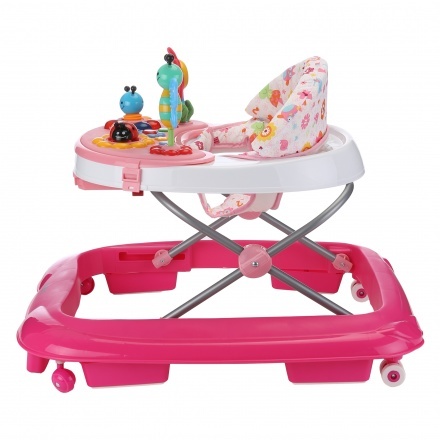 Feature 1 : It has single direction rear wheels to control the movement. Feature 3 : Made from plastic, steel and fabric. 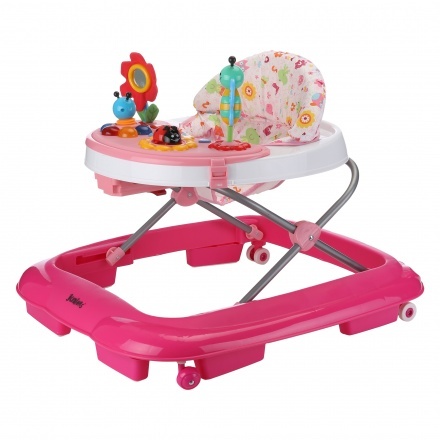 Feature 2 : Includes grip Strips to reduce movement on uneven surfaces and can support weight up to 12 kgs.